The City of Defiance offers a location for citizens to dispose of yard waste. The entrance drive is located along the west fence of General Motors. All private residents are welcome to take compost and mulch from the site when available. Tuesdays and Thursdays: 12:00 p.m. to 6:00 p.m.
Saturdays: 9:00 a.m. to 2:30 p.m.
Saturday, November 30, 2019 from 9:00 a.m. to 2:30 p.m.
Saturday, December 7, 2019 from 9:00 a.m. to 2:30 p.m. The Compost Site will be closed for the season starting December 8, 2019 and re-open in March 2020. The date to be determined. 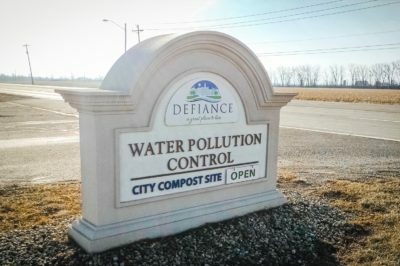 The Compost Site is available to Defiance City residents only and must show a valid driver’s license or utility bill to access the site. Tuesday and Thursday: 12:00 p.m. – 6:00 p.m.
Saturday: 9:00 a.m. – 2:30 p.m.
Last day open for 2019 is Saturday, December 7, 2019 from 9:00 a.m – 2:30 p.m. Then closed for the season.